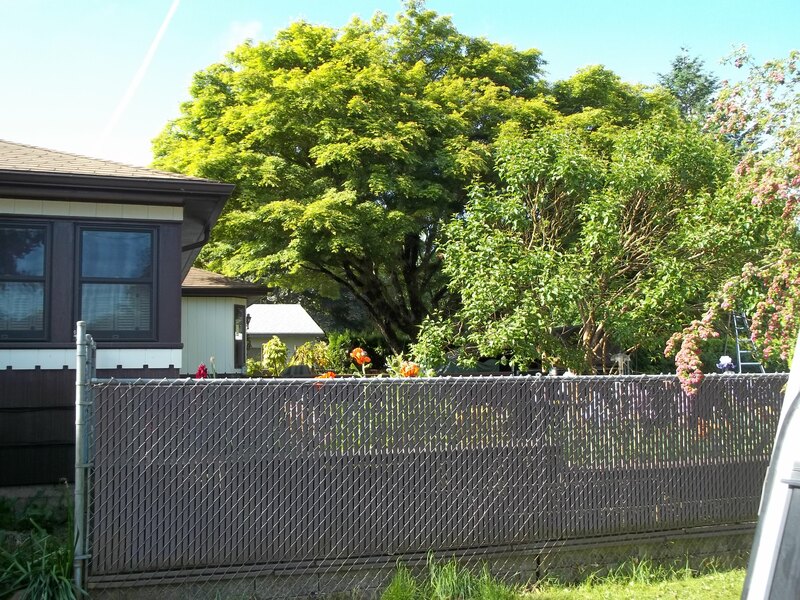 Tree pruning accomplishes many objectives and, consequently, there are several kinds of tree pruning which are described in better detail in our services tab. Broadly speaking, all pruning begins with an assessment of the age, form, and condition of the tree and the circumstances of its growth in relation to the lived environment. Arborists should possess a good understanding of the biology of trees including the growth cycle and the growth habits of tree species, wood and root biomechanics, the influence of pruning on growth, the diseases that affect trees and the proper timing of pruning around the disease cycle. 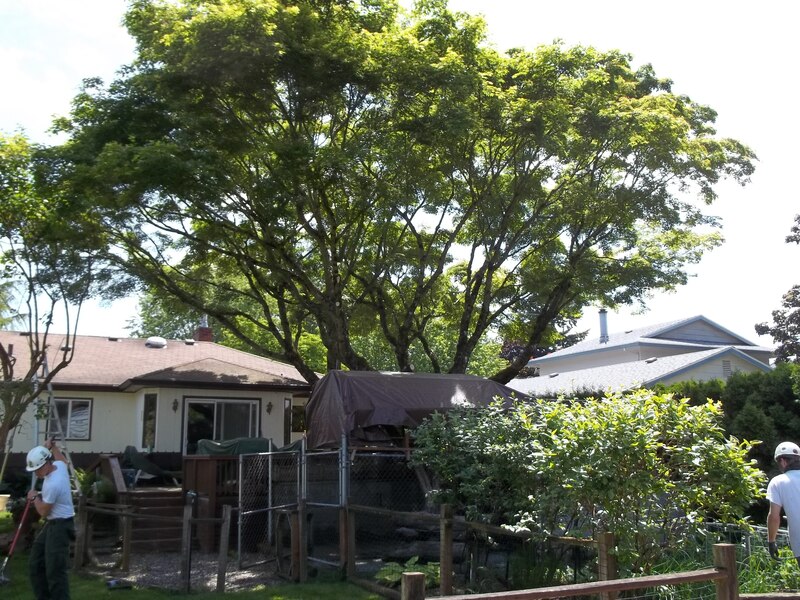 It is on the basis of this knowledge that the skilled arborist can make trees healthier specimens as well as meeting our human needs for safety, function, and beauty. 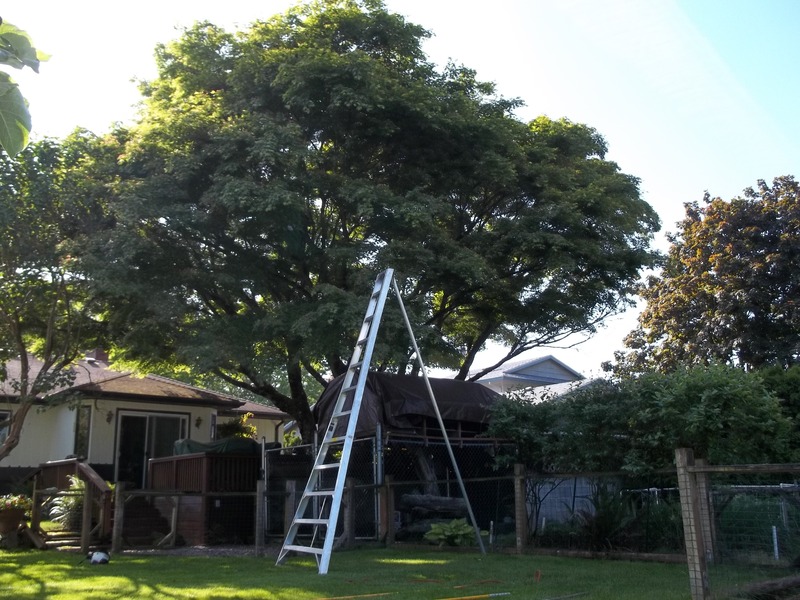 The ability to make an informed judgment about what pruning the tree requires at its particular stage of development against a host of factors is the difference between the professional arborist and the amateur. We are skilled at assessing your trees and providing recommendations as to proper pruning and we are expert at pruning. One of our friends in Portland contracted us to prune his old Japanese Maple. We were also directed to provide increased light to his small garden in the back. 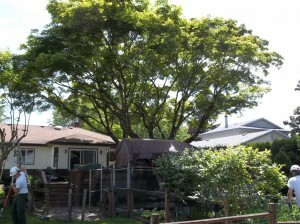 This tree went from very bushy to light and airy–as a Japanese Maple should be.